journal — Ollanua - Handwoven Woollen Goods, Irish Craft, Homewares and Gifts, Handwoven Textiles, Northern Ireland. In February I enjoyed a fascinating visit to the the factory of one of my suppliers, Donegal Yarns, in the pretty Donegal village of Kilcar. A traditional Donegal yarn is known for its colourful 'burrs' - small clumps of short-fibre wool, that give the yarn a flecked appearance. 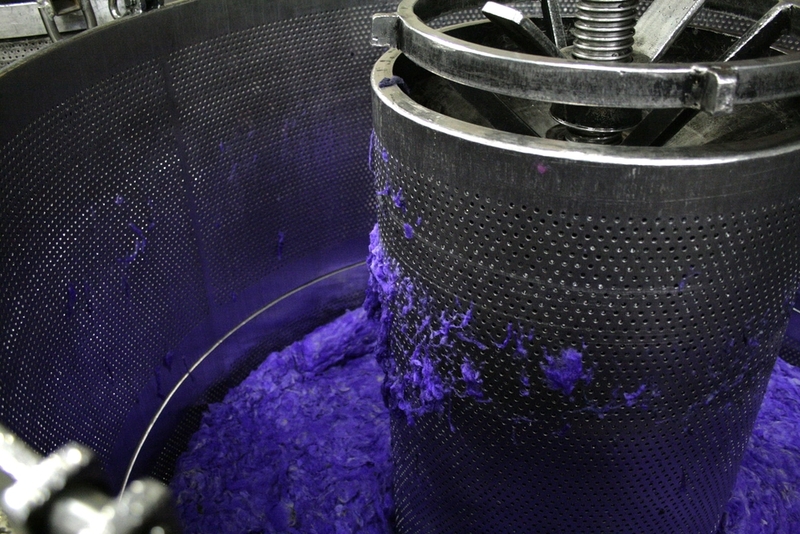 It is said that the technique originated from the hand-spinning process, when little neps of precious dyed wool were combined with the natural-coloured fibre during the carding (or combing) of the wool before spinning. In the past, plants and lichens from the mountains were used to dye the fibre, and the resulting coloured flecks are characteristic of a donegal tweed. I've always loved heading over the mountainous road from north Fermanagh to south Donegal, but once you pass the busy fishing port of Killybegs and head towards Kilcar (or Cill Charthaigh - this is a Gaeltacht region), the views become truly breathtaking. This is part of the recently sign-posted Wild Atlantic Way, and for good reason. Before the early 1900's, wool spinning in the area was purely a cottage industry. 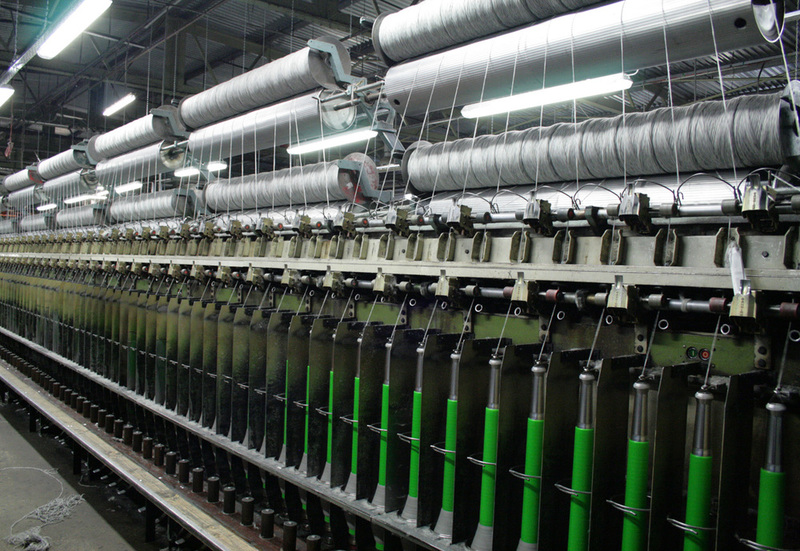 The first commercial spinning facility was established in Kilcar by the Congested Districts Board, to provide employment and meet the yarn demands of the local carpet factory. Thankfully, the building of a modern spinning mill in the village in the 1970's ensured that this beautiful yarn could continue to be produced locally and compete in the international market. Chris Weiniger, General Manager of Donegal Yarns, generously shared his passion and spared his time to show me round the bustling factory and talk me through the production process. 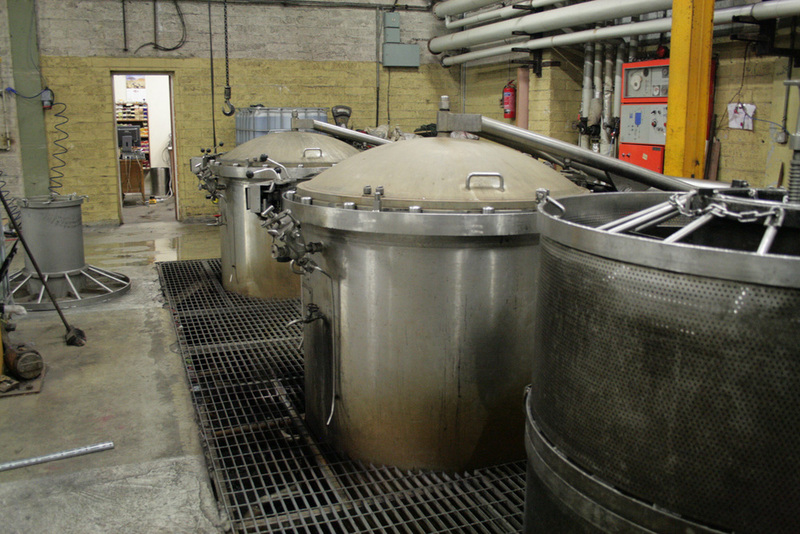 There's a surprising number of processes involved, from the point that the huge bales of wool arrive into the building, through dyeing, mixing and several stages of spinning until the yarn is finally wound on cones ready for delivery to weaving and knitting companies. It always amazes me how much work is involved in the creation of a finished textile, and this is just one part of the story. Thank-you to Chris and the staff at Donegal Yarns for showing me around the factory and letting me capture their work. I should mention another successful textile company based in Kilcar - Studio Donegal, who weave fabrics and throws on traditional looms. They have a beautiful shop and even offer the opportunity to watch the weaving process first-hand. I think this company deserve a blog post of their own though...to be continued!